Ever since I was a wee lass, I’ve loved everything to do with makeup and beauty. I remember going to visit my grandma and getting ecstatic about the fact that I could rifle through her nail polish collection, try on all of her lipsticks, and spray her perfumes on my stuffed animals (which I’m sure my mother absolutely loved). Fast forward to age 25 and I’m still pretty much obsessed with everything beauty, except these days I prioritize skincare over makeup to the point where my skincare routine has become one of those non-negotiables in my day-to-day life. About a year ago I started learning more about the green beauty movement, and I became more conscious about what I was putting on my skin. 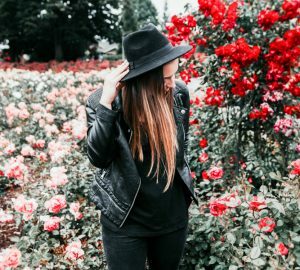 Nowadays, I would say that the majority of products I use are natural and organic, and I avoid any products that contain parabens or that have been tested on animals. I try not to obsess over ingredients too much, but at the same time, I do want what’s best for my skin and the environment. 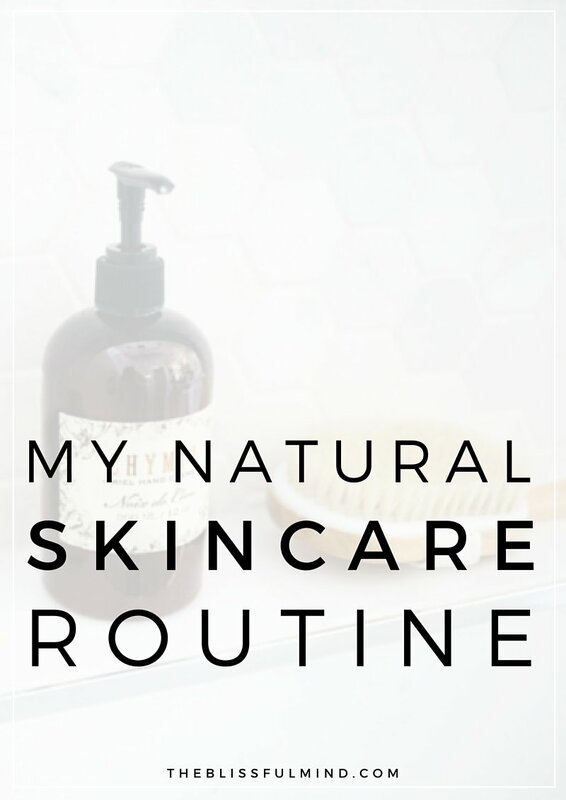 If you’re in need of some inspiration for your own skincare routine or you’re looking for some new products to try, here’s a look at my conscious and intentional skincare routine with tried and tested products that I would (and have) repurchased! As part of my morning routine, the first thing I do is to gulp down a glass of water. Even though it’s not a skincare product, staying hydrated is part of my routine because it’s totes essential for healthy skin. Plus, I find it really helps to wake me up! The next thing I do is head over to the bathroom and wash my face with water either in the sink or the shower. I don’t use a cleanser in the morning simply because I cleansed it the night before, and I don’t want to strip my face of it’s natural oils. A little bit of warm water usually does the trick to freshen it up in the morning! After I’ve dried my face, I’ll spritz on some of the R.L. Linden & Co. Thousand Petal Beautifying Mist to tone my skin and prep it for the other products I’m going to use. This stuff basically feels like you’re shoving your face into a heavenly bed of flowers, minus the dirt and bugs. To make sure my skin is hydrated throughout the day, I slather on some of the derma e Evenly Radiant Brightening Day Crème all over my face. I’d describe my skin as combination since I have an oily t-zone and dry cheeks, and this day cream works really well to balance out the two. 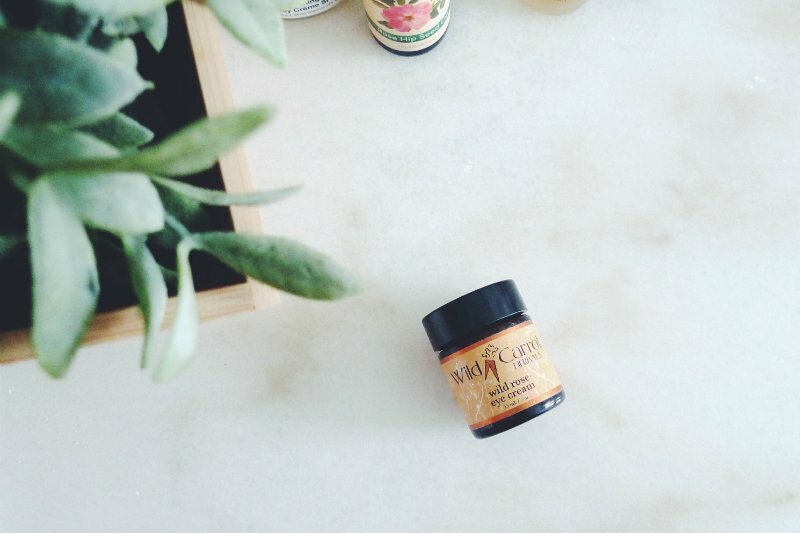 My favorite eye cream is this Wild Rose Eye Cream by Wild Carrot Herbals because it keeps my under-eye area hydrated, and it always makes my concealer go on smoothly. 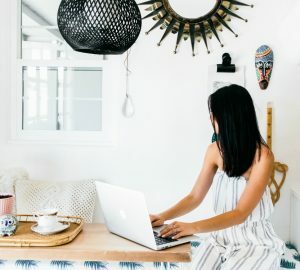 Want to start your own mindful skincare routine? Here’s some inspiration! At the end of the day, I find there’s nothing quite as satisfying as taking your contacts out and wiping off all of your makeup (at least what’s left of it, anyway). I really enjoy this part of my skincare routine and I try to savor it as much as possible. Whether it’s taking the time to appreciate the hot water on my face or the feeling of a face mask tingling and doing it’s magic, I encourage you to take the time to relax with your skincare routine as well! 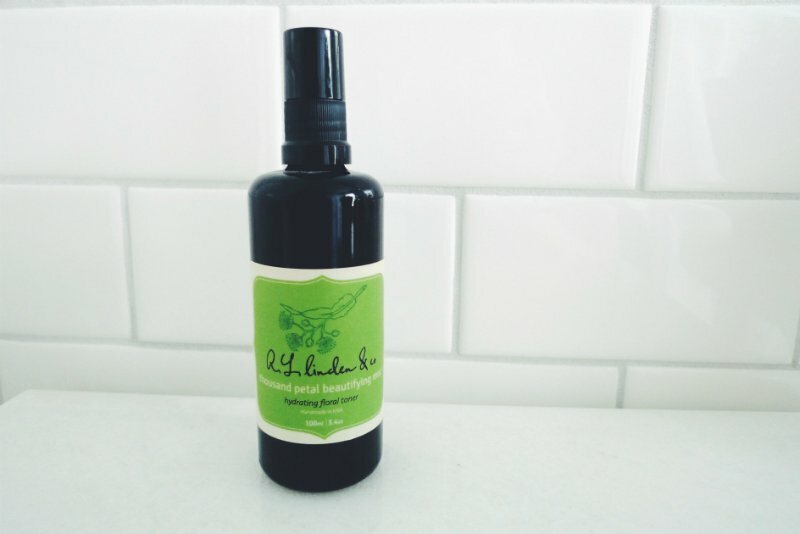 My absolute favorite product for removing makeup is the Vitamin B Active Moisture Cleansing Oil by One Love Organics. It’s an oil that you rub over your face to loosen up the makeup particles, and then it all just magically wipes off with a damp towel or cotton ball. Once I’ve wiped most of my makeup off, I’ll use the Suki Purifying Foaming Cleanser to get rid of any excess makeup or dirt from the day. 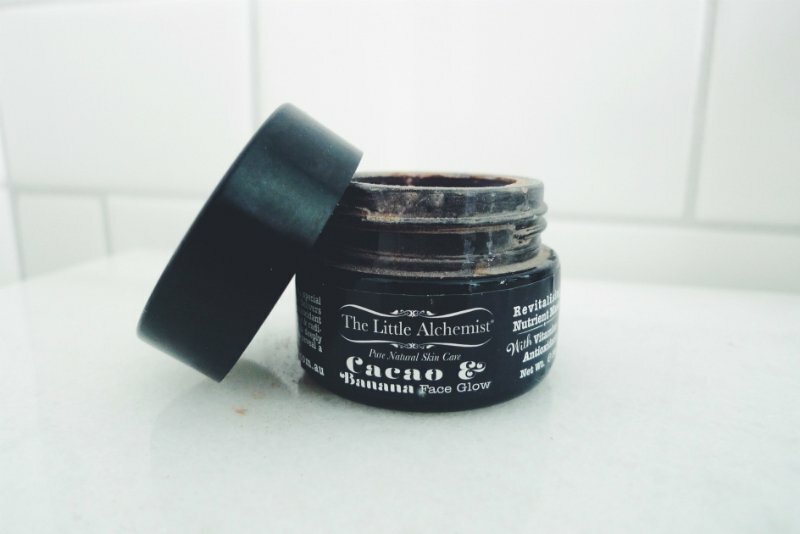 I use a face mask once or twice a week, and this Cacao & Banana Face Glow by The Little Alchemist is one of the most interesting ones I’ve used. It’s basically like putting pudding on your face! If I’m not using a face mask, I’ll use a face scrub like the Honey Love 3-in-1 Exfoliator by Leahlani Skincare. After my face is squeaky clean, I’ll put a few drops of the City Girl Skin Serum from Kensington Apothecary onto my fingertips and pat it onto my face. I’m a big fan of serums, and I like this one because it helps rejuvenate your skin if you’ve had one-too-many late nights. For moisturizer before bed, I’ll either reach for the Nighttime Replenishing Face Cream by Alaffia or Rose Hip Seed Oil if my face is feeling extra dry. 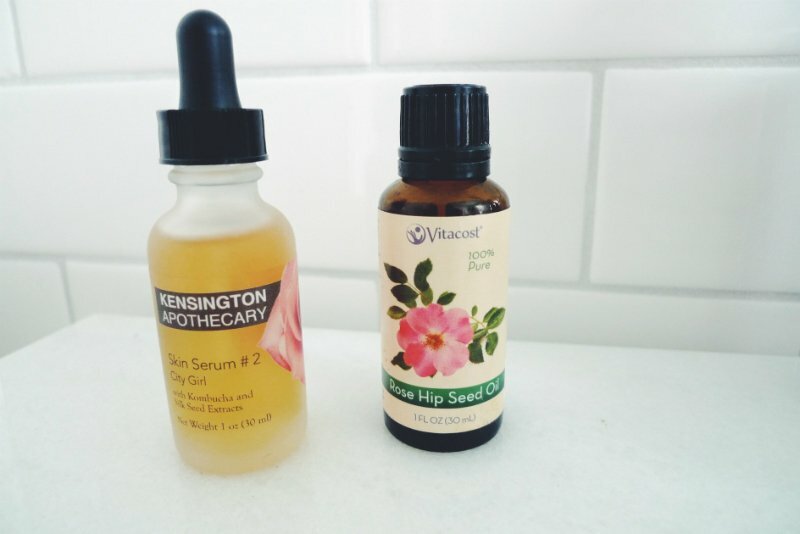 Rose hip oil is great for reducing scars and discoloration! The last step in my skincare routine? Getting some beauty sleep! All the products in the world won’t help much if you’re not getting enough sleep, right? 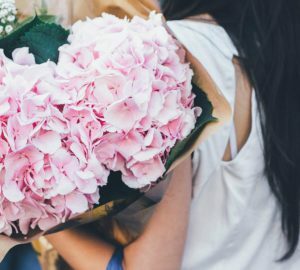 ;) I hope you guys enjoyed this post, and I’d love to hear about your skincare routines! What are some of your favorite products? What does your skincare routine look like? Leave a comment down below! Self-Care For Creatives: I’m On The #createlounge Podcast! If you like all natural, try Tata Harper products. They are all natural, but without as many essential oils (which I can’t use) and lovely. I’ve used the Refreshing Cleanser for a year and really love it. MV Organics is also wonderful. I’ve used the rose cream cleanser and moisturizing cream. I also use Emma Hardie balm cleanser or Body Shop camomile oil to remove makeup. For moisturizer I love Kate Sommerville Nourish or Nutriganics from the Body Shop. Clinique Moisture Surge is also excellent. They aren’t all natural but I do find them to work well with my rosacea – which can be aggravated by a lot of natural products due to the essential oils. Thank you for all of the suggestions, Andrea! I’ve definitely been intrigued by Tata Harper products but haven’t gotten my hands on them yet! Those are two of my faves! Tea tree oil is so good for blemishes! I am so nosy, and always love looking at other people’s beauty routines. We have a really similar skincare regimen! I really like that nighttime face cream (in fact, I tend to use it as straight-up lotion) and rosehip seed oil is my absolute jam. I definitely want to try that Wild Rose eye cream! I have been using Acure’s eye cream which I like, but it’s always fun to switch things up. Very simple! I like it! I’m finally streamlined my skincare routine that is showing results, but unfortunately it is not 100% all-natural/organic. I’m definitely working on that now!